Red velvet cake is something that has become synonymous with Valentine’s Day. You could almost say that the red velvet cake has been buttermilked for all it’s worth! Get it? No? Ok.
Now I understand this but if you’re me, you absolutely dread having to make Red Velvet anything. 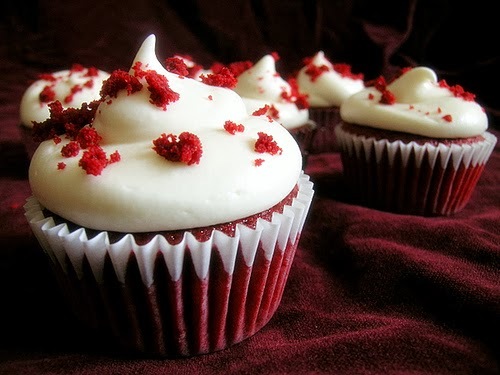 It’s not that I don’t like Red Velvet, in fact it’s a really lovely flavour, but I’d prefer to buy it in the shops than slave away over it in the kitchen. There are often quite a few different ingredients and I always forget one or two, it’s just inevitable and it makes me cry on the inside everytime. The common one I always forget is the buttermilk! So I’ve got a handy list of buttermilk substitutions and ways to get by. Yeah, that’s right, when it comes to making Red Velvet I am at the “getting by” stage. Pop the vinegar or lemon juice in a cup measure and then top up with the milk. Let the mixture sit for about 5 minutes and then use as much or as little as you need. Simple. Mix the yoghurt and milk together. Use the mixture as buttermilk. Mix the milk into the sour cream until you get a buttermilk consistency. Use as buttermilk. There you are! There are three ways to get buttermilk without actually buying anything that says “buttermilk” on the packaging. I hope this helps and that you don’t find baking Red Velvet as stressful as I do. And if anyone does ask me to produce some form of Red Velvet then I’ll be making sure I have a large glass of wine to go with it. They're super temperamental! The thought of making them gets me stressed lol! Say that in a Barney Stinton voice and you're good to go :P Don't forget to share photos with us on Twitter if you do! They're pretty easy in theory but they're a little more fragile than normal cakes. You need to keep an eye on them. It's because they use bicarb and vinegar as your raising agent and it can go nuts (causing tunnelling) or just do nothing (rock cakes) so that's difficult. I like to just buy mine :P Don't tell anyone though.